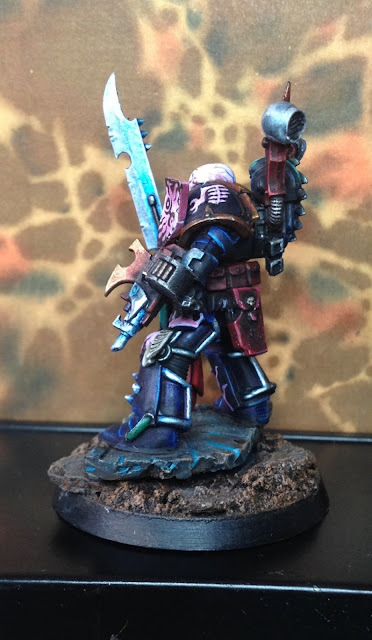 Here's the Emperors Children marine in all his depraved glory. Only thing missing now is some further detailing on the base and a name. 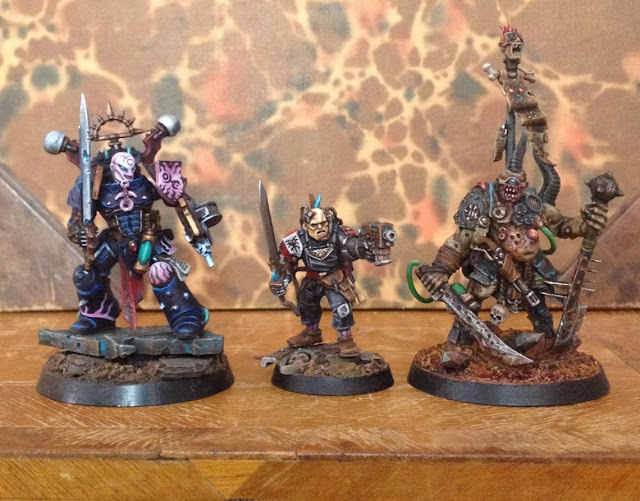 Chaos Renegades - gotta collect 'em all! 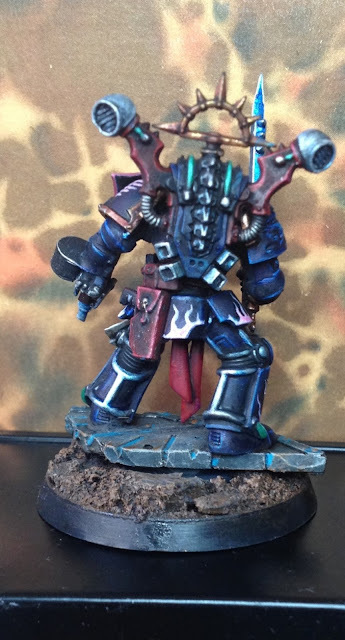 Yeah I know how you feel about Khorne. Since it is kind of vanilla chaos I can understand that it is rather boring. But as you said, gotta have 'em all! I guess it's a challenge in a way - make something you like out of something you don't... 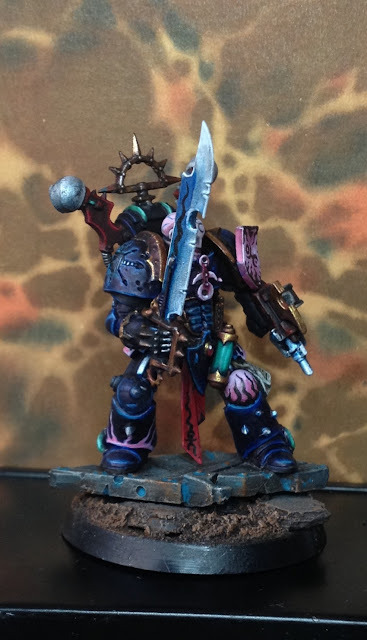 It wont be your average angry berzerker marine with spikes at any rate - that's for certain! As for a name... I've been playing in a friends Vampire: Requiem for Rome RPG and we've been going through a lot of Greek, Latin and Phoenician names. When you asked for a name suggestion, one of my favourite NPC's jumped to mind: Myrmex. I'll google some other roman names - have a look around - but Myrmex is definetly a great name! Thanks! 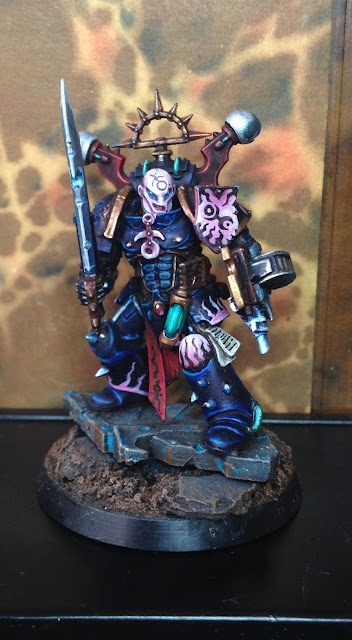 Looks really good, a bit like a slaaneshi Night lord. The pink and blue combination has worked exceedingly well especially framing the face. Brilliant work as ever.